As the march to 1.8 nears its end, Mojang’s focusing on polish and bug fixing, so snapshot 14w28b is pretty dull. But it means that 1.8 is almost ready for release. You can check out the snapshot by enabling it from the launcher and get an idea of what 1.8 will look like. If you’re looking to add some new life to your Minecrafting, you should check out ourtwenty best Minecraft mods. On top of a slew of bug fixes, like buttons not working as designed and certain items having the wrong names, 14w28b, there have been tweaks the enchantments, block models and optimisation. The new block model format for resource packs can be considered stable and ready to use. Enchantments and effects now accept names instead of arbitrary IDs. Alternative (random) block models specified by resource packs can now be disabled in Video Settings. 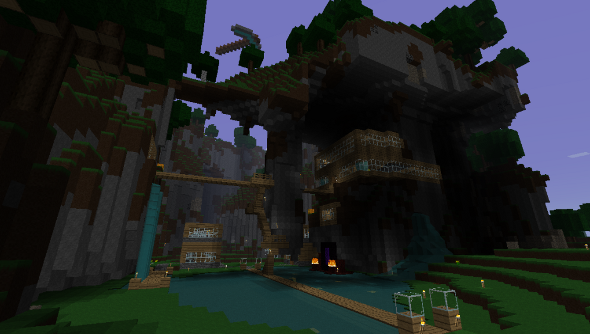 Many optimizations to both the server (including singleplayer) and the client.